A couple of years ago a sweet friend of mine shared this recipe with me and it has been a regular meal in our home ever since. 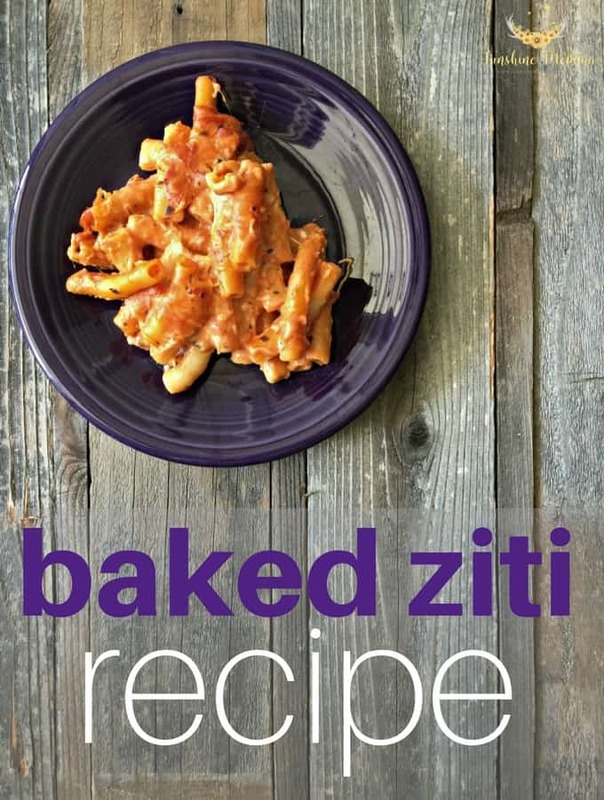 This 4 ingredient baked ziti recipe is one of those comfort foods that you just can’t resist. Combine cooked pasta, Alfredo sauce, spaghetti sauce, and mozzarella cheese and stir. When thoroughly mixed, pour coated noodles into a glass baking dish. I love to eat my baked ziti with a side of garlic bread and Brandon loves to top his ziti with ranch and parmesan cheese!